Anyone can do this. This is no rocket science. 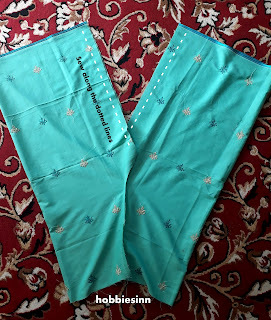 So, have you paid the boutiques and tailors to make you a palazzo and waited many days before you could have them? Have you bought a fancy palazzo from the market or online only to find that it is way too big for you? Worry no more! 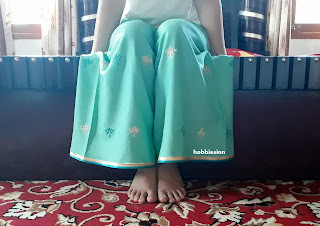 Today i'm going to tell you a recipe to make a palazzo all by yourself and that too in 30 minutes only. You don't need to be a tailor master for this. 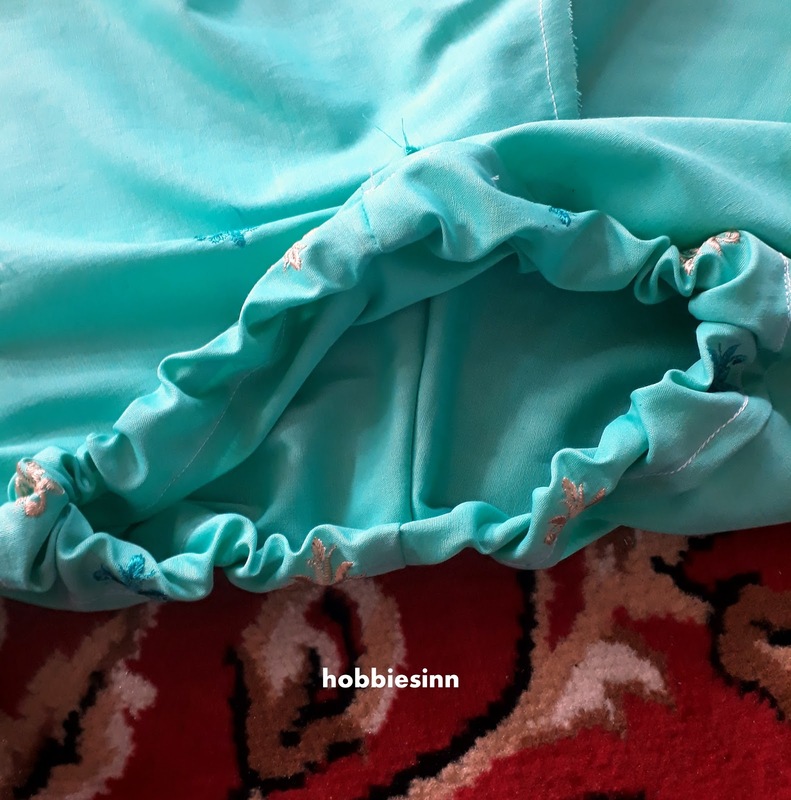 Anyone who knows how to use a scissor and a sewing machine can do this. Yes. Sewing Machine/ Tapestry needle and thread. 1. 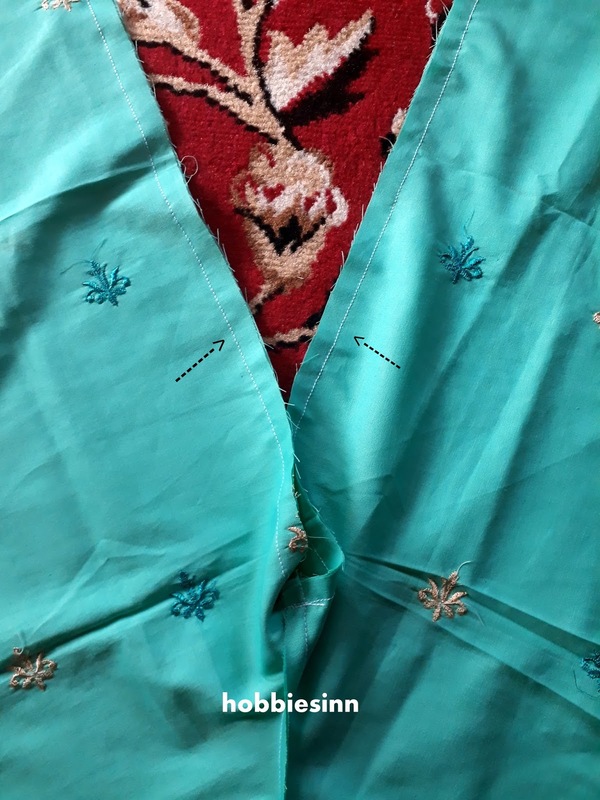 Fold the dupatta into half. Fold it again so that you will have 4 layers of fabric. 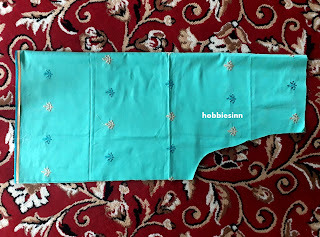 One end will have two open edges of dupatta and one folded end. The other end will have one single folded end only. 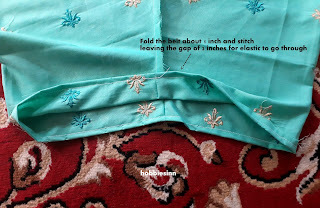 Place the measurement on the dupatta. 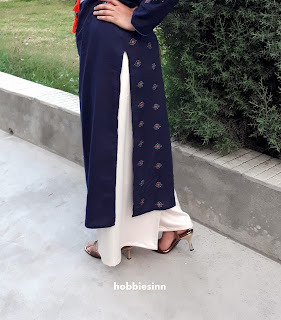 Put the back of palazzo from the open sides of the dupatta. 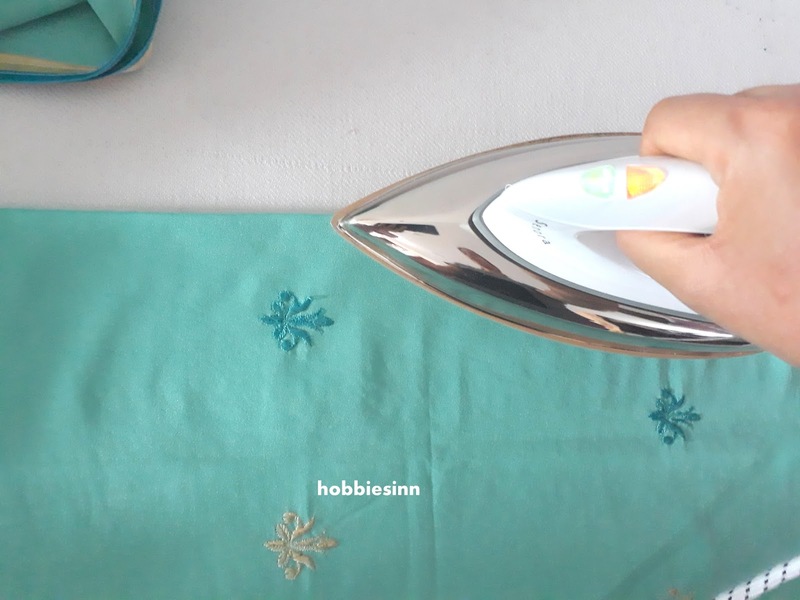 Mark and use scissor to cut as shown in the picture. 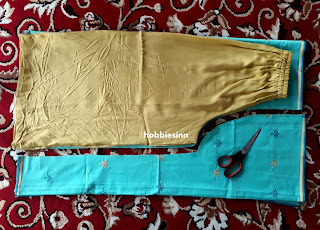 I have cut it close to the line because i want my palazzo to be a bit tighter than the measurement. If you want to make it of the same width cut 1 inch from the marked line. 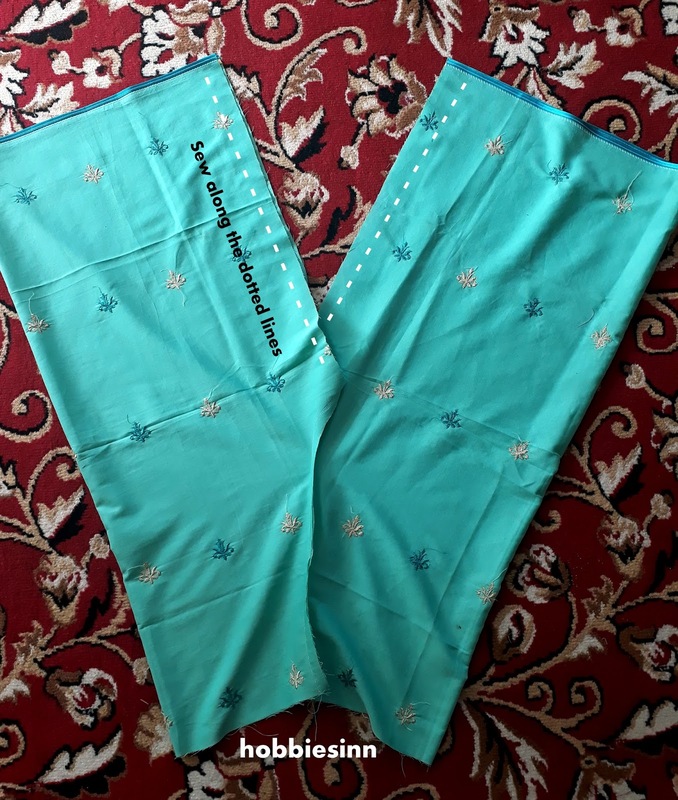 If you are using a saree, cut out 2 meters or 200 centimeters from it before making a palazzo. 2. 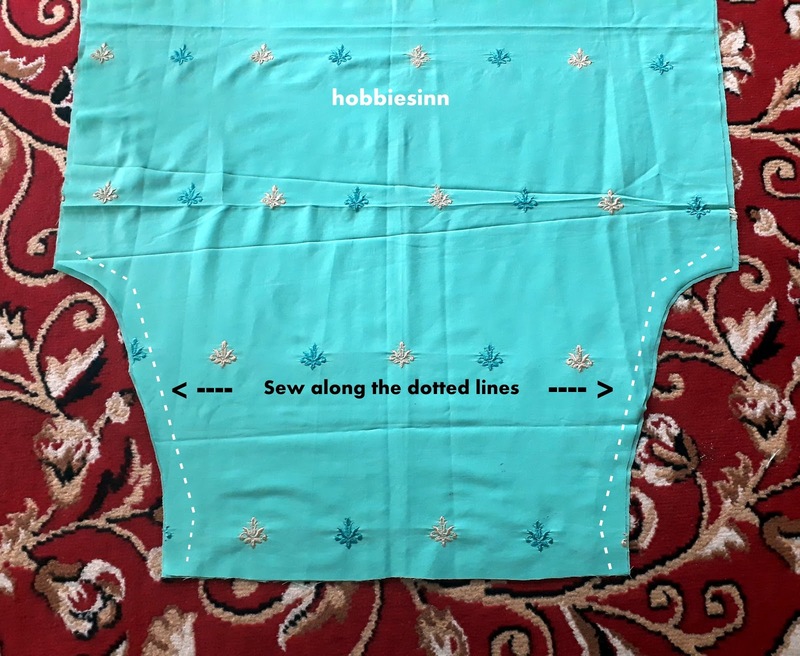 Now open the cut out fabric and stitch the ends as marked in picture below. 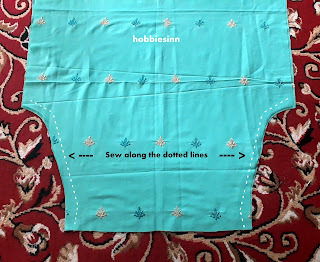 Sew along the dotted lines. 3. Bring the stitches in the center. Can you see the shape of palazzo coming? We will now stitch the legs thus formed. Refer to picture. 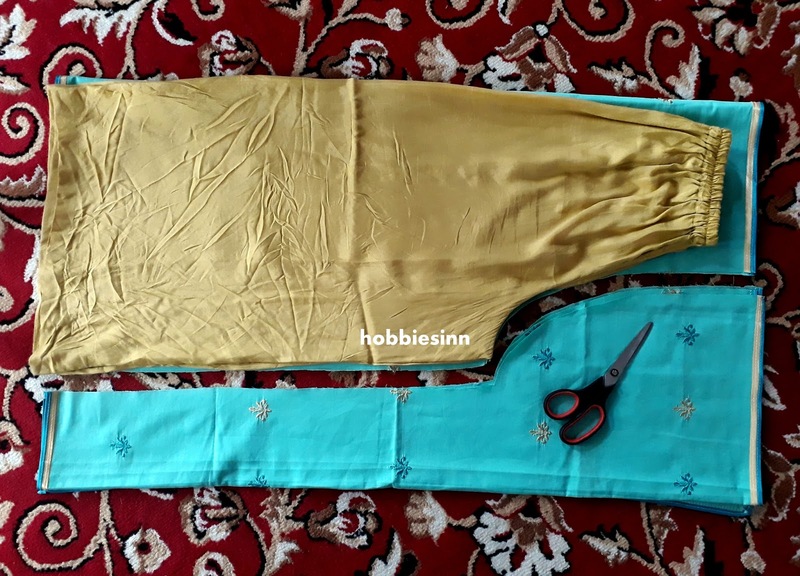 I have marked the picture to guide you to sew the legs. 4. I'm not hemming it from the bottom as the dupatta had the lacy border already made and I preferred to keep that but I still had to do the belt of the palazzo. In this picture you can see that i have already stitched the palazzo and its almost made. 5. 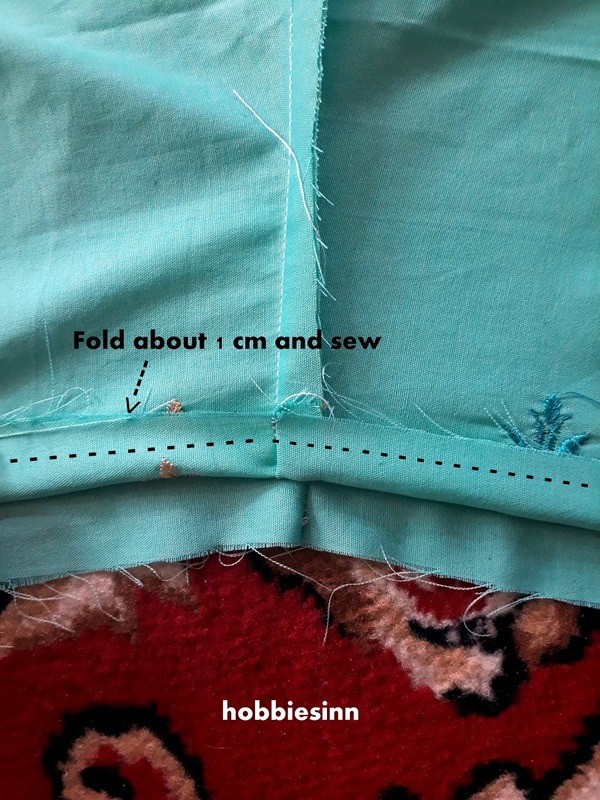 To make a belt fold the top of the palazzo to about 1 cm and sew all along. 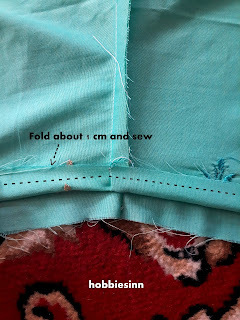 Now fold it again to almost 1.5 to 2 inches and sew at the edge leaving a small gap of 2-3 inches for the elastic to go through. 6. Measure the elastic around your waist and pull through the belt of your palazzo. Join. 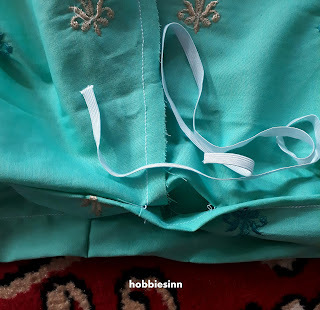 Sew the gap in the belt you kept for the elastic to go through. Sew the left out gap after inserting and joining the elastic. 7. Iron the creases of your palazzo. I have made three of these and you can see how perfect they look. I have styled them differently and wore them on different occasions. 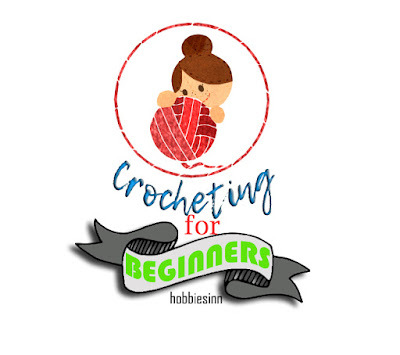 Do tell me what you think about this tutorial. It's a very handy and easy to follow. 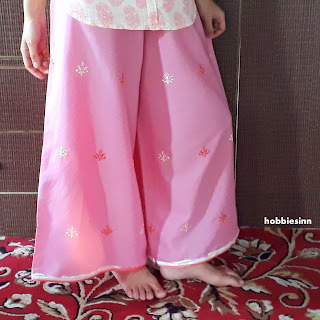 If you have some spare fabric or duppatta or an old saree lying around go and turn it into a flirty palazzo. Just 30 minutes of your time. Nothing else.